Coral cuff bangle by Kenneth Jay Lane. 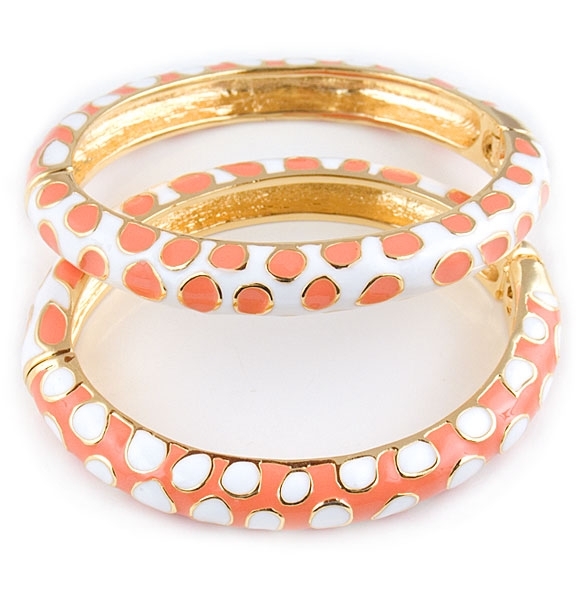 This playful designer bracelet features coral spots on white enamel on one side and white spots on coral enamel on the other. Bracelet measures 6cm (2.5") in diameter and has magnetic hinge. A classic signature piece by Kenneth Jay lane, easy to wear all day. Also makes a wonderful gift for a loved one.